Newly surfaced surveillance videos and dispatch calls from the day a Ferguson, Mo., police officer shot an unarmed 18-year-old contradict the police officer's version of events, attorneys representing Michael Brown's family said today. 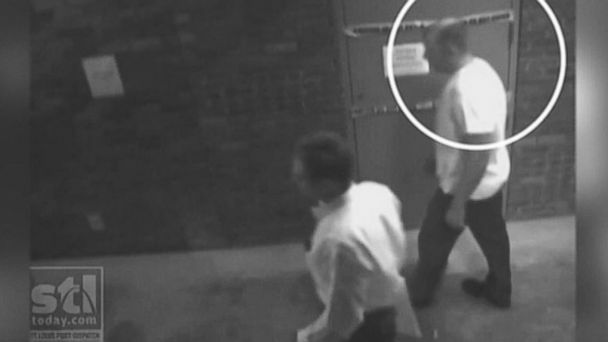 The videos show Ferguson police officer Darren Wilson leaving for the hospital hours after he fatally shot Brown. The fatal shooting sparked weeks of protest in the Missouri city. The videos, which were obtained by the St. Louis-Post Dispatch, show Wilson, 28, leaving the police station with another officer and a police union lawyer two hours after the shooting, the newspaper reported. "Information was leaked from within the police department that Wilson was severely beaten and suffered an orbital eye socket 'blowout,' indicating that Michael Brown somehow deserved to die. From the video released today it would appear the initial descriptions of his injuries were exaggerated," a statement from attorneys representing the Brown family said. The lawyers also said the audio tapes do not show Wilson making any connection between Brown and an incident at a convenience store shortly before that police later said Brown was involved in. The dispatch calls obtained by the newspaper reveal how quickly the situation between Wilson and Brown escalated. Wilson can be heard just before noon on August 9 asking other units if they need his help locating a robbery suspect. "You guys need me?" he asks in the recordings. Less than 10 minutes later, another officer asks for help controlling the scene where Brown was shot. "Get us several more units over here. There's going to be a problem," says the officer. During the call a woman appears to be crying in the background. Brown was unarmed when he was shot six times by Wilson. Weeks of protests and some incidents of looting followed after the shooting outraged the Ferguson community. Wilson, who has been suspended with pay, claimed he was injured in a confrontation with Brown. Ferguson Police Chief Tom Jackson previously said that the confrontation started because the teenager was walking in the middle of the street. A state grand jury is investigating whether he should face criminal charges. A decision is expected this month. The Department of Justice is also looking into the case.